Facemasks have been a constant part in a girl’s skincare routine. Not to mention the huge benefits one can reap with the varied number of face masks available in the market. 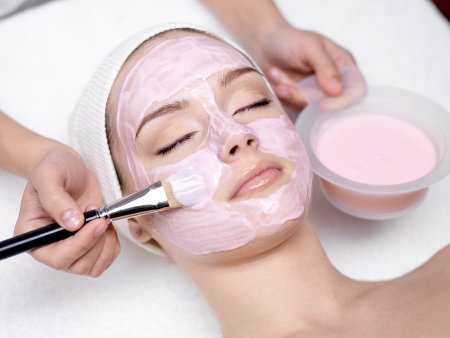 One can find a variety of face masks that have enormous beauty benefits and reap the best results by applying. However, the catch is that often ladies do not realize while applying the masks about important it is to maintain the specificity of each. For them, Facial clean up in Melbourne can act as huge boon. A routine visit to a reliable parlor like Anju Eye Threading Brow Bar that can offer the best of the skin care regime is one activity that should be on top of your to-do list of a month. However, it is also important to make sure about the kind of services that we have in offer. Here are some of the best recommendations that can work wonders to maintain a healthy skin omitting the mistakes that you may have been making unconsciously. Ayurveda : India is the land of ancient culture and one can trust their beauty rituals blindly. The traditional and household components like turmeric is one major ingredient in facial packs that can work wonders to give that smoothing glow to the face. Our facial clean up is a portal where one can find similar kind of Indian beauty treatments in Melbourne city. Apart from turmeric, Neem is another ingredient from the Indian kitchen that has brilliant beauty benefits to both skin and hair. If one is struggling with a chronic issue of pimples, it can be one ideal way to deal with the problem. Skin Is An Asset That Should Be Dealt With Proper Care And Appreciation. Seal The Moisture In With The Gentle Touch Of Indian Salon In Melbourne City! ! Cleansing: One must have heard the mechanism of CTM or more specifically “cleaning, toning and moisturizing”. However, many people fail to realize that the cleansing part is the most important step that can make a drastic difference in the whole regime. The step for cleansing the face should be dealt with proper care. This is because if your skin layers are not cleaned from the beneath, none of the creams will act any better to upgrade the quality of your skin. Make sure to check for the hygiene standards of the parlor or salon like us to which you are paying a visit to get your cleansing done. When it comes to your skin, you should not compromise with anything! Moisturizing: Coming third to the CTM routine is the moisturization process that has again a big part to play in the whole skincare regime. One secret constituent of our Indian salon in Melbourne city is the use of coconut oil that we swear by. It is one effective solution to all kind of skin issues related to dryness. Inculcation of such unique components can derive huge benefits in the process of making your skin healthy and glowing like never before. Hence, in such a quest, choosing our Indian facial in Melbourne city can make you win the deal.